Marvel’s Cloak & Dagger has arrived. On… Freeform. Whatever the hell that is. Last week’s two-episode premiere of Cloak & Dagger introduced fans to a comic book duo they’ve likely never heard of till now: Tyrone and Tandy — Cloak and Dagger, respectively. It is a youthfully energized concept with a decent recipe for freshness, given the generally obscure source material of one of Marvel’s lesser-known titles. These characters add to an existing deep bench for Marvel in television, joining the MCU continuity — on a new channel this time. More about that later. The series stars the talented and beautiful pair of Olivia Holt and Aubrey Joseph as Tandy and Tyrone — teenagers who end up with complimentary superpowers from a mutual catalyst taking place in their childhood. There is a romance blooming with these two, as well, rooted in the same sense of destiny as their yin-yang powers. She sports a white-hot glowing orb of light… thing… that can take solid form — as an actual dagger. He possesses a black mist, which provides him with a bit of a “bamf!” teleportation power. If the story follows the comic, these powers will be rounded out with some auxiliary benefits — and presumably a mastery by their wielders. 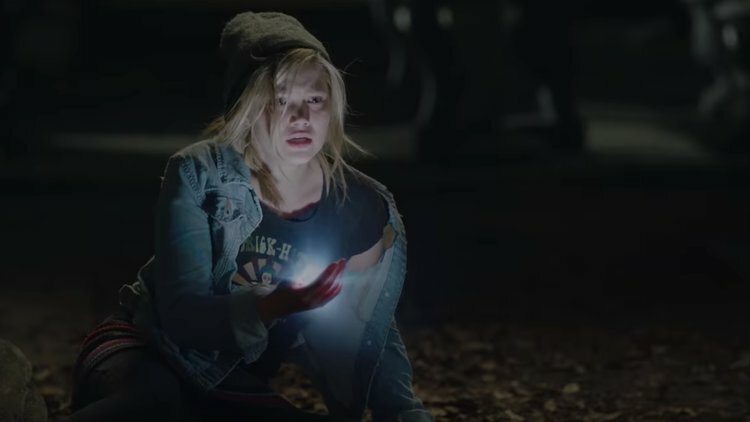 Perhaps lifting from the realm of CW, Cloak & Dagger is pitch-perfect on its soundtrack. The show, so far, has a knack for picking out just the right tune for the moment. This is another way the profile of the show might be raised, in the age of cross-media awareness. In casual observation, the marketing for the show has seemed a little light, and not nearly broad enough. Perhaps an avenue for expansion is the soundtrack itself. Cloak & Dagger brings yet another outlet for fans to chase down to see a show they want. Currently, one has to pursue the MCU on ABC broadcast, Netflix, Hulu, their favorite movie theater — and now, Freeform. If you’re playing along at home, Freeform used to be ABC Family. In a recent rebrand, they chose to go solidly across millennial home plate, with somewhat edgier content. They’re still working on that one — as most of the schedule is dominated by re-runs of TV-edited Disney films (cheap, and self owned), and The 700 Club (which makes no sense at all for an “edgier” network, but is a lingering contact reality from back when the network was CBN). Unless you had reason to notice ABC Family, you’d likely come to ignore it for quite many years now, which is why a network launch with a show like Cloak & Dagger is critically important for the overall platform. Let’s not forget the boon for FX seen in the likes of American Horror Story, or what The Walking Dead or Breaking Bad have done for AMC. It remains to be seen if the market and attention span of viewers can adapt and adopt yet another show. The summer launch helps narrow the field, though. There is a lot of potential for a strange combination of the Netflix vibe, meeting a little bit of CW, meeting the stone-cold market presence of ABC/Disney. For now, this show will hopefully keep pace with its first two episodes on content quality and presentation, and continue building momentum for what seems to be a strong debut. Time will tell.